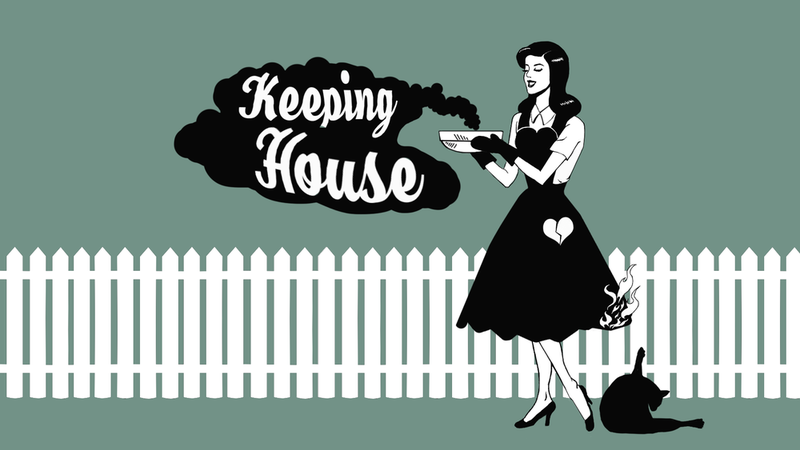 Set in 1950’s suburbia, play a dutiful newlywed preparing for a grand dinner party. Strive for perfection, and be careful not to fumble into catastrophe. Win over your loved ones by preparing a quality meal and keeping house. With things catching fire, a mischievous kitty, and sensitive stomachs rebelling, there is so much that can ruin a perfect evening. The only way to overcome this hectic pandemonium, is to find the safety in perfection. With guests arriving any minute, it’s up to you to prepare for their arrival. Inspect your house for mess and tidy before guests see it. Entertain them with cocktails and converse with them to learn their tastes. Combine ingredients and serve a course that will be sure to win the whole crowd over. Real magic doesn’t come from the help of a fairy godmother, but from your own eye for detail. Be mindful of all aspects of the evening, even small mistakes have consequences. Failure is part of your journey to domestic refinement. Though with diligence and patients, our heroine may attain her faultlessness. In the mayhem of satisfying guests and performing the night's duties, many things can go awry in process. From vomit-inducing entrees to allergic reactions, and cat-related mishaps, every stumble on the path to the flawless evening is wrought with comical mishaps. Laugh and learn from your many mistakes.